To communicate the value of the sandwiches, Firehouse redesigned its menu boards. Pictures appear with a la carte prices, but now a separate high-profile panel features combo upgrades without photos; customers can add any drink plus a side for $2.49 to $2.99. “In testing, the change proved to be more effective in selling new combos in all sizes,” says Fox. Firehouse has seen about a $2 drop in check average, but “We are gaining frequency of visits because of [the new] portion size and price, and we net out better,” he says. Firehouse launched an under-500-calorie menu three years ago, but it had a limited selection and required new ingredients and extra labor. The small subs replace that menu, with 10 signatures made to order in downsized versions. 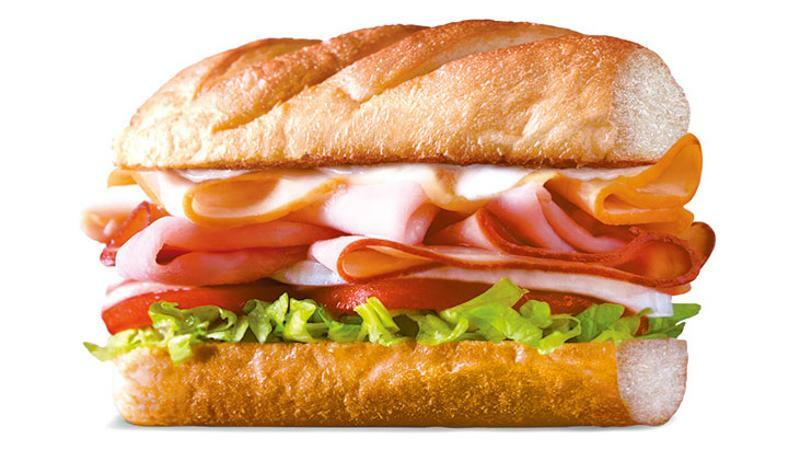 They start with a medium-size sub roll that’s cut in half, and get the same fillings and garnishes, just less of them. The change has smoothed operations, says Fox, and the only training involved is teaching staff the new menu configuration.